Pentel Fabric Fun is a non-toxic, fabric dyeing pastel set. 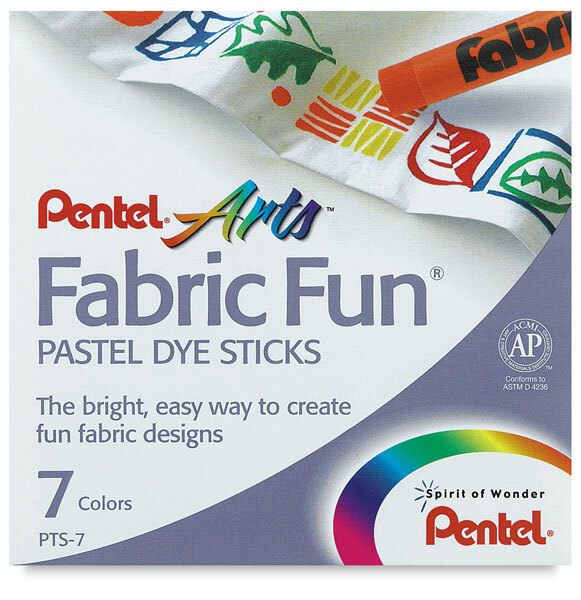 These are bright, intense colors in soft stick form. Simply draw a design onto the fabric with pastels and press with a hot iron. Once it has been heat set, the resulting design will dye permanent and wash fast.